When it's cold out, there's nothing quite like a fresh, hot home-made dessert. Today I'm making apple-cranberry crisp while breaking in my new Kelsi Dagger Tildia mary-janes. Preheat oven to 350 degrees F. Boil 4-6 cups of water in a large pot, once boiling, take pot off stove. Put cranberries in the hot water. 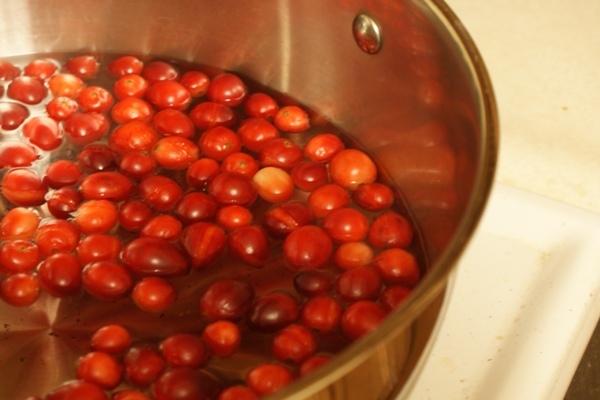 The cranberries will make popping noises, leave them in the hot water until the popping stops. This method of preparing the cranberries cooks the berries just enough without losing any of their tart and sweet flavors. 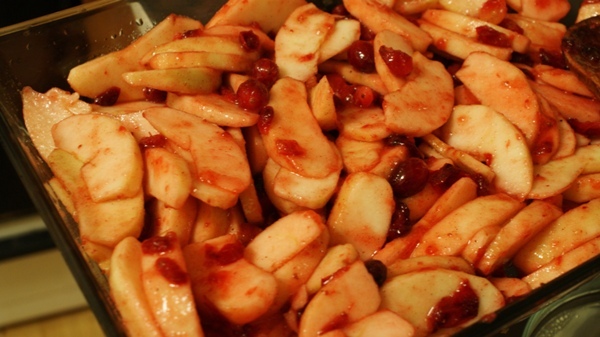 Drain cranberries and mix with the sliced apples. Add sugar and cinnamon. Arrange the apple-cranberry mixture in a 13" x 9" pan. In separate bowl, combine oats, flour, baking soda, baking powder, brown sugar, and nutmeg. (Tip: grind half of the oats, this will give you a more even-texture topping and really enhance the natural oat flavor.) Add the melted butter and stir until well mixed. 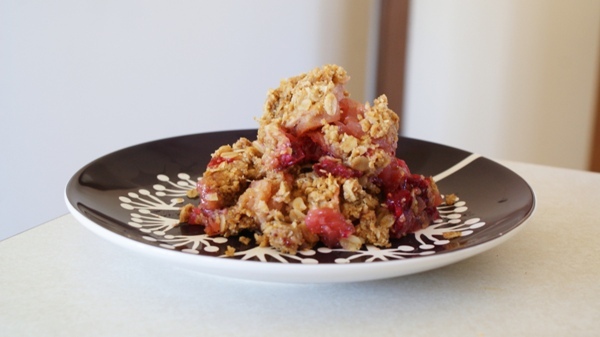 Cover the apple-cranberry mixture with the oatmeal mixture. Bake for 40-45 minutes or until apples reach desired tenderness. Let cool for 30 minutes and then enjoy! Mmmmm! Doesn't that look good? You can also make this dish sans cranberries. I think the cheery redness of the cranberry and it's tart but sweet taste is perfect for the holidays.